Donations: We are currently looking for donations of LEGO base plates! Please note: While parents are not required to be in the program room, they must REMAIN IN THE BUILDING AT ALL TIMES. Please see our Unattended Children Policy. For ages 2 & 3. Stories, songs, crafts & activities! It's a totally new kind of math club! For kids in grades 3-5. Limited to 16 participants. This is an 8 week program. When you register here, you are committing to all 8 weeks. Pre-registraion is required. Best for ages 0-2 with their caregivers. Stories, songs/music, books, dancing, motor-skill activities, free play. Minding Your Mind is a mental health education and suicide prevention foundation providing education to adolescents and young adults, their parents, teachers and school administrators. Our goal is to reduce the stigma and destructive behaviors often associated with mental health issues. We have recently partnered with Country Bank, who has generously offered to fund our programming to the schools in their area. The purpose of this event is to raise awareness about Minding Your Mind's programming which is now fully funded and available to this community. May is mental health awareness month, come celebrate and hear from a clinician's expertise and young adult's lived experience! Big Kid TOP SECRET Program! Sign up for this SUPER SECRET Mother's Day program and make something for that AMAZING MOM of yours! Of course, since your mom has to actually sign you up for the program, she'll know what you're doing, BUT she won't know what we're making as long as she doesn't peek!! This program is for ages 6 - 10 years. Registration is required, spaces are limited. Adults do not need to be in the room during the program, but are required to remain in the building at all times. George Capaccio as Albert Einstein is back by popular demand for Part 2 of his Einstein performance! This time Albert will talk about his later years as a rebel with a cause, fighting for social justice and individual freedom, and against racism and war. Part two also explores Einstein’s escape from Germany and his lifelong involvement with humanitarian issues. For ages 6 & older. Drop-in. Registration is not required. 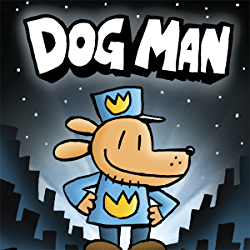 Big Kid Program: Dog Man! Are you a fan of DOG MAN?? So are we!! Join us for Crafts, Fleas, and Fun! For fans ages 6 & older. Registration is required, spaces are limited. Registration is required. *No Preschool/Daycare groups, please. Join us for Teen Advisory Board! Please sign up! Earn community service for attending. For grades 5-12. Music, dancing, and more with Deb Hudgins! Best for ages 1-5. Please sign up so we know how many to expect! No daycare or preschool groups, please. Girls who will be starting kindergarten in the fall, current kindergarten girls, and their families are invited to learn about Girl Scouts! Girl Scout registration is open now. To learn more contact Kerry O'Brien, kobrien@gscwm.org, 508-749-3633. 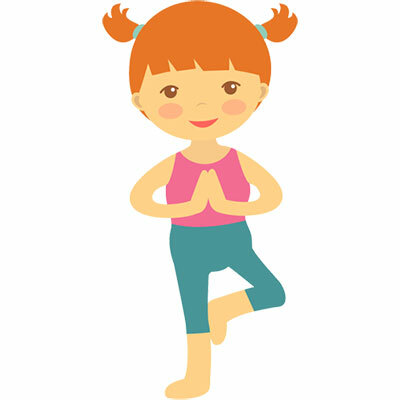 Join local instructor, Linda Davis, for Yoga at the library! All ages and levels are welcome. Children under age 5 must have a caregiver with them at all times. Wear comfortable clothing and PLEASE BRING YOUR OWN YOGA MAT. This is a free program. PRE-REGISTRATION IS REQUIRED. Greenfield Commonwealth Virtual School Middle School STEM event. We will be inviting our entire Middle School and teachers to attend a workshop by Jay Mankita called playful engineers where we will make science-based simple machines.